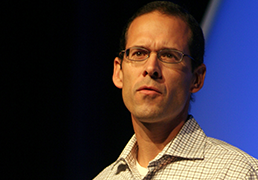 DePodesta is a Harvard economics graduate who served as the assistant general manager to Oakland Athletics General Manager Billy Beane. In the film "Moneyball" his character was named Peter Brand and played by actor Jonah Hill. "Paul brings a valuable outsider's perspective to medicine that will help make the field more precise and more predictive through the analysis of the vast amounts of individualized data now being collected through genetic testing, wireless sensors and other technologies," said Eric Topol, MD, director of STSI, in a statement. "We are excited to have him work with our informatics data scientists to jumpstart the 'Moneyball' of medicine." DePodesta will serve as an assistant professor of bioinformatics at STSI while maintaining his primary role as vice president of player development and scouting for the New York Mets. He joined the Mets organization in November 2010. In 2015, the team made the playoffs for the first time in nine years and played in the World Series. "In disciplines as disparate as baseball, financial services, trucking and retail, people are realizing the power of data to help make better decisions." DePodesta said in a prepared statement. "Medicine is just beginning to explore this opportunity, but it faces many of the same barriers that existed in those other sectors – deeply held traditions, monolithic organizational and operational structures, and a psychological resistance to change." At STSI, DePodesta will also work on large medical data projects with the center's analytics team, which is led by Ali Torkamani, associate professor and director of genome informatics. Other team members include Andrew Su, associate professor and Nathan Wineinger, director of biostatistics.